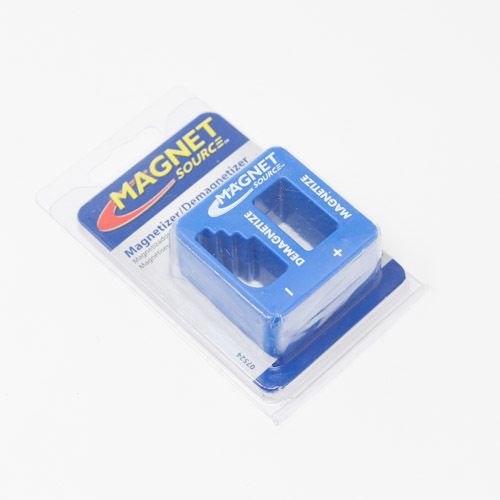 Quickly and easily magnetize small tools and screwdrivers so they attract screws or nuts for easy starting and removing. Insert a screwdriver into the hole, pull it out and it’s magnetized! Perfect for do-it-yourselfers, mechanics and electricians.